You’ve heard the stories. A store owner is ready to retire or gets ill and can no longer manage his or her business, and no family member or employee is next in line to take over. Sometimes, the future of a business is suddenly in jeopardy. The questions about the future become urgent and potentially massive: Who will buy it? How much is the business worth? Can I afford to wait for an offer that gives me the money I need to retire? Will I get a good or fair price for the business I’ve been building for decades? What if I can’t find a buyer? Successful ownership transitions and business preservation don’t have to be sudden or urgent. More often than not, good planning can allow you to find the right purchaser from the outside, sell to a standout employee or train the next generation of family ownership. Even if the next-in-line owner is an obvious choice, such as a son or daughter who has wanted to work in a business since childhood, taking the time to plan ahead can smooth out the road to succession. Bill Klingbeil, owner of Klingbeil Lumber Co. in Medford, Wisconsin, began developing his plan three years before his son, Pete, started slowly buying him out. “As soon as I realized Pete would be heir apparent—it must have been right at seven, eight years ago—I started a succession plan for myself,” Bill says. 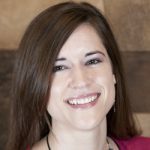 Independent home improvement businesses change hands regularly, and this article shares insight from four retailers who have either successfully sold their businesses already or are in the process of selling to next-generation owners. They discuss their planning processes for selling, who their advisers are or were, how they identified their buyers and what they did to ensure smooth transitions in ownership. This is the second half of a two-part series on succession planning, and follows an article in the July issue of Hardware Retailing that focused on four younger owners buying businesses. Check out last month’s story here. This month’s parallel article offers the perspectives of the retailers who sold or are selling to those four new owners. These retailers are featured in this story because they represent different stages of and types of succession, including an owner-to-manager sale, selling to an outside buyer and handing off a business to the next generation in a family. Making a succession plan is an important part of ensuring that when you leave your company—be it because you want to retire, an emergency prevents you from working or your health is declining—your business is in good hands and your retirement is funded. 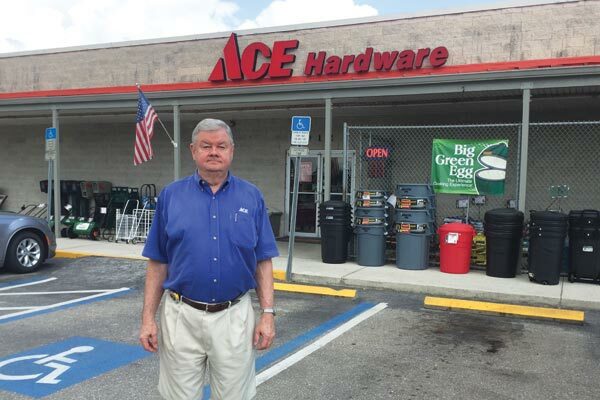 Harold Staats, owner of Kingsway Ace Hardware in Port Charlotte, Florida, has had to develop multiple succession plans, but planning ahead made his first business sale successful. Staats initially wanted his nephew to be his successor, but when that nephew decided to move to another state and pursue a different career, Staats still had time to come up with a new plan. He decided to sell one of his stores to an outside buyer while he could afford to take his time to do so. “We didn’t have to get out on any schedule. You need to be able to give yourself plenty of time,” Staats says. Planning ahead meant he could wait for a purchaser who could pay him what he wanted for the business, and he could also be particular about who the buyer would be, he says. He found that buyer in Jim Stoner, who purchased Ace Hardware of Cape Haze in Cape Haze, Florida, from him in 2014. “We had put a lot of hard work, labor and care into it, and we wanted someone who would do the same,” Staats says. He also has a plan for Kingsway Ace, which he expects to sell within the next few years. Staats and his wife pay close attention to real estate values in the area because they own the land where the store is located, and they are keeping track of inventory and financials in such a way that they already have a good idea of what their asking price will be if they sell soon. “We’re at the age that we know that we might need to sell within a year or so. 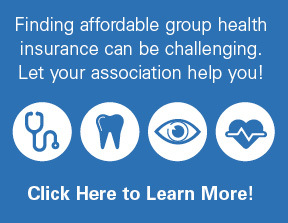 You know, health could go downhill or something,” Staats says. 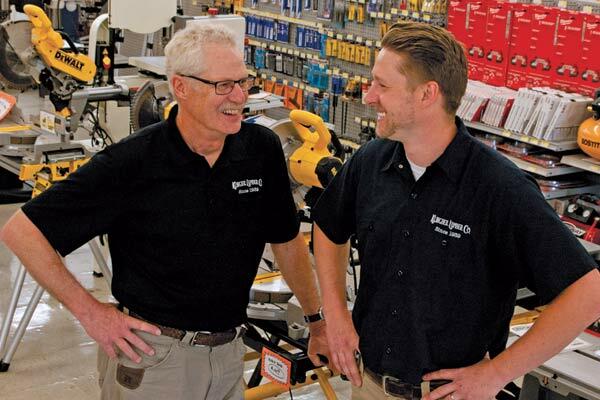 Planning ahead also gave Craig Buckalew, owner of EGF Hardware Hank in East Grand Forks, Minnesota, and Bill Klingbeil time to train their sons over the course of several years to prepare them for ownership. The plan for Bill’s exit has included gradually increasing Pete’s responsibilities over time; giving Bill’s brother Tim an important role in mentoring Pete; and having a certified public accountant, attorney and insurance agents handle the important paperwork. “It took about a year to figure out, but I think we pretty well have everything set for my graceful escape,” Bill says. Bill expects both he and Pete will be ready for him to retire in two or three years because of the time they’ve taken to prepare Pete for becoming the boss. Harold Staats, owner of Kingsway Ace Hardware in Port Charlotte, Florida, operated two stores before selling his Cape Haze, Florida, location to an outside buyer. Regardless of the type of succession plan, time helps. Buckalew asked his son Brandon if he would be interested in buying the business. Brandon’s answer was “yes,” but Craig made space in his plan for Brandon to change his mind about taking over by making the leadership transfer a progression. Craig gave Brandon more and more responsibility over the course of about five years, first having him manage employees, then adding marketing and other areas for him to oversee. The plan is to have Brandon finish purchasing the business this year, but wait for him to buy the building, Craig says. Bill Klingbeil learned a lesson when he was buying out several relatives in the 1990s with a plan of owning and operating the family business on his own. At the time, the family didn’t have a formal succession plan in place, and an accountant helped Bill understand the importance of legal documentation. “If something happened to my dad, what was going to happen? Nobody seemed to know,” Bill says. He is handling the transfer of ownership to his son differently, with the encouragement of his wife. As part of his succession plan and to prepare for the worst, Bill and Pete bought life insurance policies on each other, and Bill made sure his brother Tim was on board with helping mentor Pete, just in case Bill wouldn’t be able to do it. “I think we’re all set for a tragic mishap or my gradual retirement,” Bill says. He’s been planning all along, though, for a gradual transition. One of the problems with making rapid transitions without much prior planning is that the new owners don’t get holistic views of the business and can get overwhelmed quickly, Bill says. Having trustworthy advisers is important to any ownership transition. Finding those advisers within the home improvement industry, as well as relying on business professionals, such as accountants and attorneys, can help prevent problems in the selling process. Problems could include attempting to sell at too high a price, misjudging the value of inventory or making a transition so rapidly that the new owner is unequipped for leadership when the deal closes. Hitting pitfalls in ownership transitions is easy, particularly if a seller has little or no prior experience with selling a business. Staats relied on an attorney and commercial real estate broker for guidance, as well as on his co-op, when he decided to sell Ace Hardware of Cape Haze. And the Buckalews turned to their distributor’s CEO and to a business evaluator for advice on their transition, Craig says. “We wanted to see what advice anyone who had gone through the process had for us,” he says. 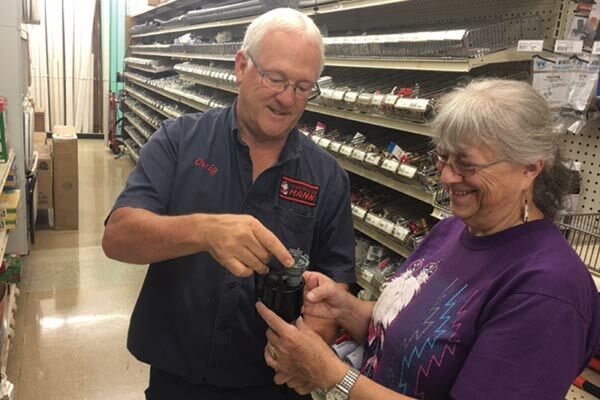 Mike Monserez, prior owner of Hardware Plus in Osceola, Indiana, found his father’s counsel was vital for planning the sale of his store. Monserez had purchased Hardware Plus from his father 35 years prior, and that experience ended up serving him well when he decided manager Chris Hughes would be ideal to buy the business. At the time, Hughes had worked for him for 15 years, and Hughes felt ready to take charge when he bought the store in 2008. Monserez was able to use his experience of buying the business decades prior as a blueprint for how he sold to Hughes, he says. Bill Klingbeil is gradually selling Klingbeil Lumber Co. to his son, Pete, and increasing Pete’s responsibilities over time to prepare him to be the boss. Among the difficulties of selling a business is finding a purchaser, especially if no relatives or standout employees are in positions to buy. Monserez didn’t have a family member who could buy, and he’d been thinking about retirement for a few years before asking Hughes if he wanted to own the store. “The advent of technology was what spooked me. I wasn’t well versed in the way things were changing. That was probably the main motivating factor that made me say it might be time for me to leave,” Monserez says. On the other hand, Staats doesn’t have children and none of his employees were in any position to buy a store. So, when his nephew moved away, he used a broker and his co-op to try to find prospective buyers from the outside. He was able to find a buyer he not only liked, but also befriended. Buyer Jim Stoner was looking for a business to own and operate, and Staats says he respected Stoner as a businessman from the start. He could see Stoner had the vision and business skill to improve the store. “He wanted it. He had a passion for it,” Staats says. “He had been working in sales, and that area was part of his territory. He knew a lot of people. I just liked his energy and his ideas. Staats knew Stoner had prior business experience in the construction industry that would serve him well as a hardware retailer, but Staats also noticed and appreciated his enthusiasm. Craig Buckalew and Bill Klingbeil both had successors in line for years because their sons had already worked in their stores and wanted to take over from their fathers. Part of making a sale mutually beneficial is figuring out financing that works for both the buyer and the seller. The selling price of the business and the buyer’s financing method are both important when securing a seller’s retirement and supporting the buyer’s future success. When selling, retailers will need to calculate how much money they need to live on in retirement. That amount is distinct from the value of the business, which cannot be priced higher than it is worth simply because an owner needs a specific amount of money to retire. A retailer needs to accurately assess the value of an operating business, its fixtures, equipment and inventory, as well as the building and property, if applicable. Detailed financials that show a company’s consistent growth over multiple years are an important selling point, if a business has them, Staats says. Carefully kept financial records, opinions from commercial brokers and up-to-date inventory data figure into accurately assessing a business’ value. Staats already had financial paperwork prepared to show to prospective buyers when Stoner came to him wanting to check the health of the business before making an offer to buy. Having accurate documents ready in advance helps with setting a fair asking price and smooths out the selling process, Staats says. “The main thing is, just be truthful in your inventory figures, truthful in what you think things are worth, so you don’t have to come back and say, ‘Uh-oh. I made a mistake there,’” he says. Craig Buckalew, pictured above, is working with his son on a five-year transition plan, as his son prepares to buy EGF Hardware Hank from his parents later this year. 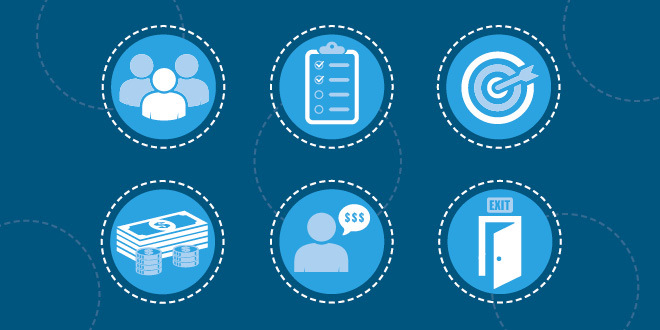 Retailers can choose varied approaches to working with buyers to come up with the money to purchase their businesses. A seller’s exit plans can depend very much on a buyer’s financing. He and Pete have worked out a gradual payment plan. Pete is making automatic payments on the store out of his paychecks, and currently owns about 10 percent of Klingbeil Lumber. Craig and Brandon Buckalew have a similar arrangement. Monserez has known Hughes for years and worked to provide him with financing. “I did retain the building as an insurance policy for my retirement. That was how we structured the buyout; he signed a 10-year lease,” Monserez says. 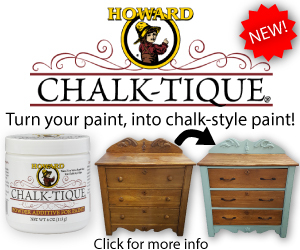 Hughes is also paying Monserez over time for the store’s inventory. “We have a handshake agreement that he will eventually buy the property and the building, too,” Monserez says. In contrast, Staats had decided, and expressed to every potential buyer up front, that he wasn’t willing to offer seller financing. Deciding in advance what he was and wasn’t willing to do smoothed the process, he says. Other financing routes for buyers could include bank loans, loans through the U.S. Small Business Administration, money rolled over from investment accounts or a combination of multiple methods. Staats’ buyer, Stoner, opted to use retirement funds and an SBA loan. Not every retirement or sale can have a smooth transition, due to emergencies or a need to sell quickly. But even a few months of a seller helping a buyer learn how to run a company can better secure the future success of a business after it sells. Staats intentionally developed a personal relationship with Stoner during their negotiations over the sale of Ace Hardware of Cape Haze. He believed working together would be vital to getting Stoner off to a strong start. To help with Stoner’s transition, Staats agreed to continue working at the store three days a week for three months after he sold. “I think the buyer and seller have to get together personally,” Staats says. Monserez stayed involved at the store for the first few years after Hughes bought it, but steadily decreased his hours. “I did tell him I would hang around, so to speak,” Monserez says. For the first few years, Monserez worked three eight-hour days per week, then cut those back to three four-hour days. Now, he goes to Hardware Plus occasionally to do screen repairs, but he is no longer involved in any day-to-day operations at the store. “I made a whole thousand dollars last year,” Monserez says. Hughes very capably runs the business without him, he says. In addition, a successful transition should include flexibility from the seller about changes the buyer wants to make to the business, Craig Buckalew says. Anyone looking to sell a store should give buyers the opportunities to experiment, make mistakes and try again, he says. buyers and sellers need to do, go to TheRedT.com/succession-timeline. Understanding the value of a business’ assets is an important part of setting a realistic asking price when preparing to sell. 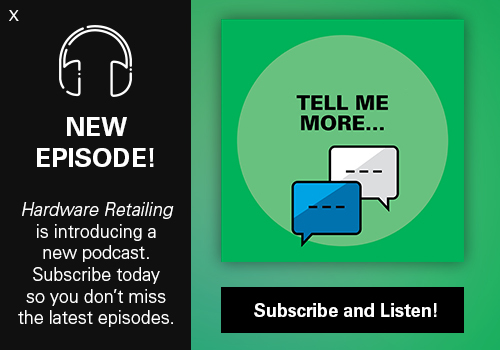 Hardware Retailing interviewed Gary Pittsford, president of Castle Wealth Advisors in Indianapolis, about the valuation process. Pittsford has worked with independent home improvement retailers across the U.S. to prepare financially for acquiring, expanding and selling stores. Find the valuation Q&A with Pittsford at TheRedT.com/valuation-qa.